Situated only a few miles north of Plymouth, the small waterside village of Bere Ferrers lies between the rivers Tavy and Tamar forming an island of rare seclusion. Astonishingly it offers peace and tranquility in an outstanding landscape edging on Dartmoor - a million miles from the hustle and bustle of city life. 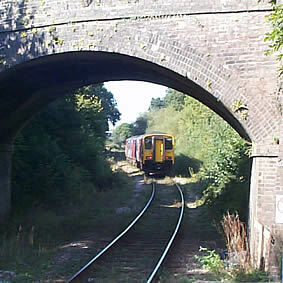 Most convenient approaches are by car via the nearby market town of Tavistock, or by train along the uniquely surviving scenic branch line meandering beside the Tamar to serve local villages before crossing into the Duchy on an imposing viaduct. The surrounding unspoilt landscape is full of contrast justifying recent designation within an Area of Outstanding natural Beauty. Free parking is provided at the station. 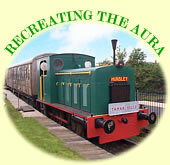 THE TAMAR BELLE VINTAGE TRAIN comprises four carriages restored and converted to provide Dining Coach, Saloon/Lounge and two uniquely and novelly arranged Sleeping Cars. Enjoy lunch, afternoon tea or dinner served to your table by steward in luxury Pullman style. Relax and stay overnight in a comfortable suite, awakening to our renowned "Platelayer's Breakfast". In taking time to discover the little known secrets of the area you will be enthralled by its diverse nature and fascinating history.